Snell, William, daguerreotype artist, 1 Central, cor Essex, opp Essex Hotel, h at Beverly, Salem, MA (1850) (1851); William Snell, daguerreotype artist, 208 Essex, h S Cherry, Salem, MA (1853); W. Snell, 188 Essex St., Salem (1860-1862) cdv identified as "Clara Patterson m. George Choate, mother of Bert Choate"
Spafford & Cable (I. R. Spafford & J. T. Cable), photographers, over 402 N Main, Bloomington, IL (1902); Spafford & Cable (Ralph I. Spafford & Jesse T. Cable), photographers over 402-404 N Main, Bloomington, IL (1904); Spafford & Cable (Ralph I. Spafford & J. T. Cable), photographers over 402-404 N Main, Bloomington, IL (1905); Spafford & Cable (Ralph I. Spafford & Jesse. T. Cable), photographers over 402-404 N Main, Bloomington, IL (1907) City Directories; Spafford & Cable, photographers, Bloomington, IL (1905-1910) mounted photo 6" x 8"
Spalding, Stephen, photography, Springville, NY (1900) See census. Stephen Spalding born June 1842 in NY, marr 1869 Ellen; Stephen E. Spalding, photographer local studio, Main St., Springville, NY (1910) See census. Stephen E. Spalding born abt 1843 in NY, marr 1869 Ellen S.
SPEERS, A. A. & H. W.
Spooner, J. C., photographic ambrotype picture palace, Fool's Block cor Main & State St., Springfield, MA (1860s) cdv image; J. C. Spooner's Picture Palace, Established 1846, Foots Block Corner Main & State Sts., Springfield, MA (1860s) "Additional copies from the plate from which this picture is taken can be had if desired. ", *cdv vignette images, jpg in gallery; J. C.
Spurr, A. H., photographer, 126 N Maple, rms 705 W Adams, Creston, IA (1889) City Directory. Stafford & LeForgee, (Frank W Stafford, Chenoweth LeForgee), Photographers, 258 N Main. (See advt index page X-Y-Z. ), Decatur, IL (1889) Ebel, Bower & Co.'s Decatur Directory. Stafford,, Frank W. (Stafford & LeForgee), res 279 W William, Decatur, IL (1889) Ebel, Bower & Co.'s Decatur City Directory; Frank W. Stafford, photographer, 148 W Wood, Decatur, IL (1900) See census. Frank W. Stafford born Feb 1855 in PA, marr Cassie A, chn Mary E. b 1890 IL, Frank W. Jr., b 1894 IL. Frank Stafford marr 30 Sept 1885 in Macon, Illinois, Cassie Leforgee, no doc. Stage, Wallace B., photographer, 122 E 59th, New York, NY (1906) City Directory; W. B.
Stange, F. A., photographer, Fifield, WI (1891-1892) Source: Price County Historical Society, Fifield, WI. Staples, Abigail, photographer, 170 Elm, New Britain, CT (1900) See census. Abigail Staples born Dec 1877 in NC. Staples, William F., photographer, 170 Elm, New Britain, CT (1900) See census. 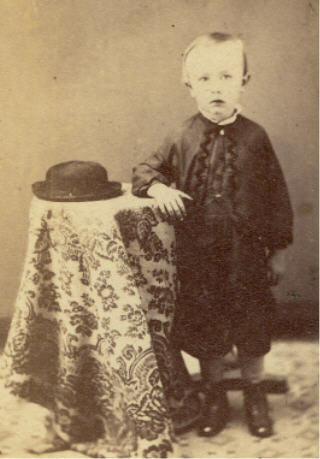 William F. Staples born Jun 1848 in VA .
Star Gallery, Bauer & Robert Shaw, photographers, Shreveport, LA (1890s) "Copying and Enlarging a specialty, unsurpassed in excellence of finish"
Starks, F. R., photographer, Ottumwa, IA (1901-1902) Polk's IA State Gazetteer and Business Directory; Fred R. Starks, photographer, Ottumwa City, IA (1910) See census; Starks, photographer, Ottumwa, IA (1906) cabinet image dated on back 3-25-06. Fred R. Starks born ca. 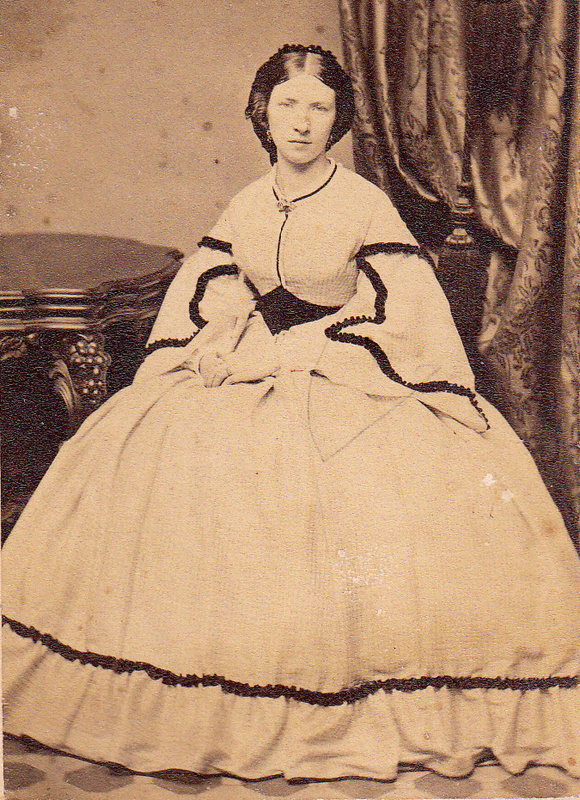 1868 in IL, married Mary G.
STARKWEATHER, N. B. K. See Lancey & Co.
Stauffer, A. N., photographer, Mt. Pleasant, PA (1860s) "No. 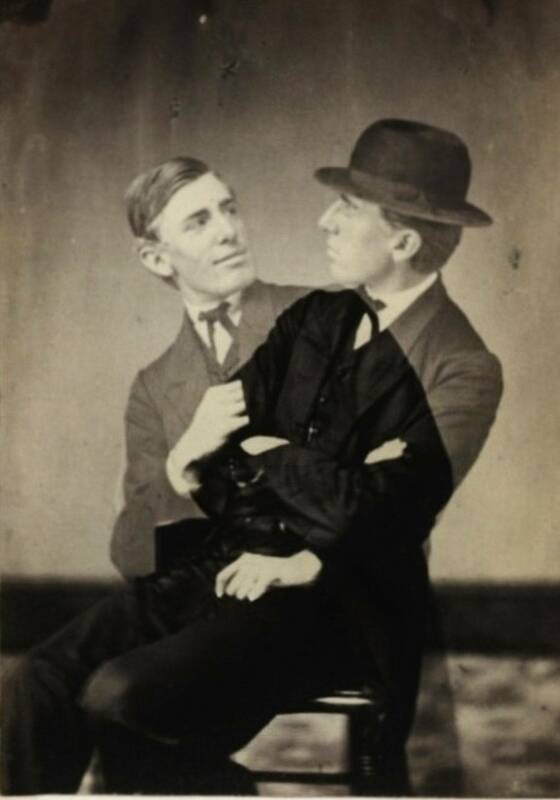 ___", cdv image; A. N. Stauffer & Co., photographer, Mt. Pleasant, PA (late 1860s) *large oval portrait; A. N. Stauffer, photographist, Mt. Pleasant Bor, Westmoreland Co., PA, May 1865, IRS Tax List; Stauffer, Aaron N., photographer, Mount Pleasant, PA (1865-1866) Gopsill's PA State Business Directory; Stauffer, A. N., photographer, Mount Pleasant, Westmoreland Co. PA (1870) see census, born 1839 PA, marr Emma. Goodman _. Stauffer b 1852 photographer with them; Aaron Stauffer, photographer, Mount Pleasant, PA (1880) See census Aaron Stauffer born abt 1840 PA marr Emma, dau Edna n 1879; Aaron Stauffer, photographer, Mount Pleasant, PA See census. Aaron Stauffer born abt 1860 PA son of Martin Stauffer and Frances. Sib John, Sherman, Harrie, Nellie. Aaron Newcomer Stauffer, born 15 April 1838 died 1899 bur Mount Pleasant Cem. STAUFFER, J. & A. N.
Stevens, J. K. & Son Co., Portraits, McVicker's Theatre Building, Children's Pictures a Spercialty, "Duplicates can be had at any time", Chicago, IL (1880s) cabinet image; J. K. Stevens & Son, photographers, 55 McVicker’s Theatre Bldg, Chicago, IL (1892); J. K. Stevens & Son Co., McVicker's Theatre Bldg., Chicago, IL (1900) tel. Main-2677, City Directories.